The press are predicting this will be the worst weekend of the year for travelling, so how about staying local and taking a trip to our local brewery? Lord Conrad at Scotland Farm is having a pop up pub from Saturday 26 August to Monday 28 August, 2 – 10 pm each day with pizza on Sunday & Monday, 4 – 8pm. Are you looking for something to do in the last week of the school holidays? Or would your children enjoy somewhere to meet up with friends before school starts again? 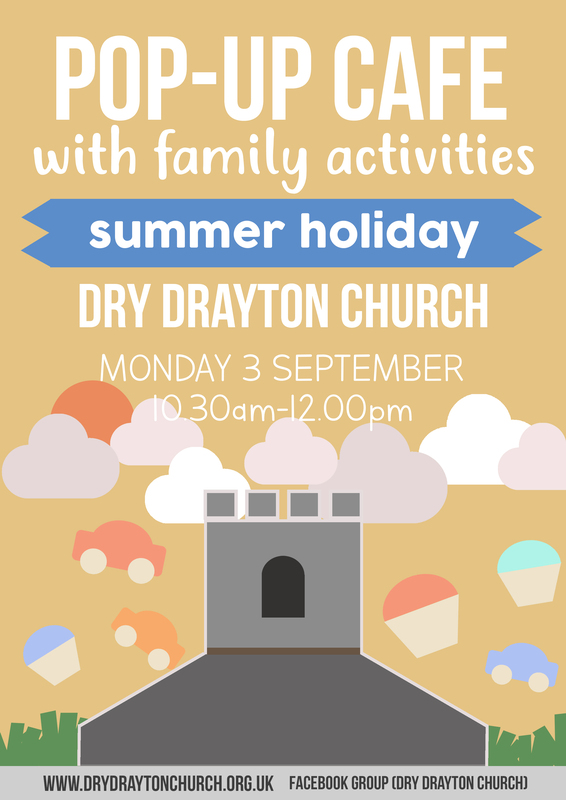 On Wednesday 30 August, there will be a Pop-up Community Café with family activities running between 10.30 and 12 noon in Dry Drayton church. With café tables at the back, and the usual chairs cleared away there will be space for giant Jenga, Lego and table football alongside toys for younger children too. No charge, but donations to cover costs appreciated. Feel free to share this information with friends and arrange to meet them there!